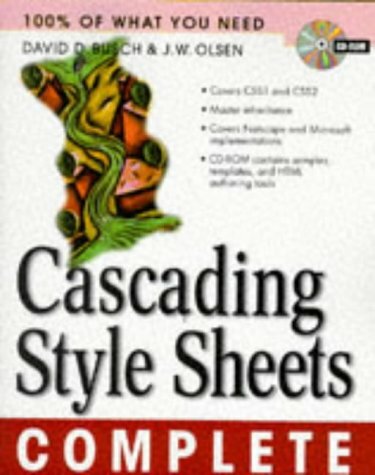 Amazon.com description: Product Description: Teaches Web programmers to use Cascading Style Sheets to modify the design elements--such as typography, color, type sizes, and styles--of Web sites for a more creative look. Original. (All Users). About: Teaches Web programmers to use Cascading Style Sheets to modify the design elements--such as typography, color, type sizes, and styles--of Web sites for a more creative look.